The Latest theme supports the video post format. 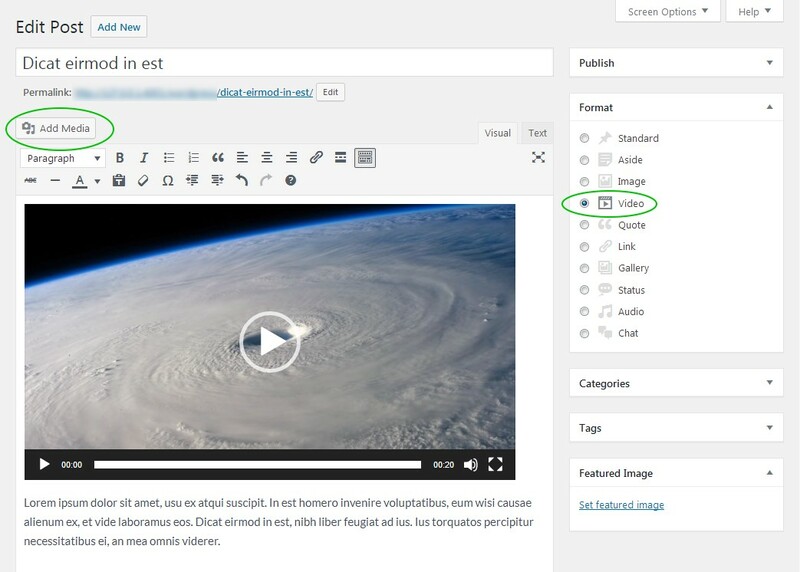 In the post editor, upload and add a video file to the post content using the ‘Add Media’ button. Alternatively, externally hosted videos (e.g. YouTube, Vimeo etc) can be embedded into the post. Simply paste the video URL into the post content area and it will be automatically embedded into the post/article. Video hosting services supported include YouTube, Vimeo, WordPress.tv, Facebook, Flickr, TED, VideoPress and Vine. To the right of the content area is the ‘Format’ meta box. 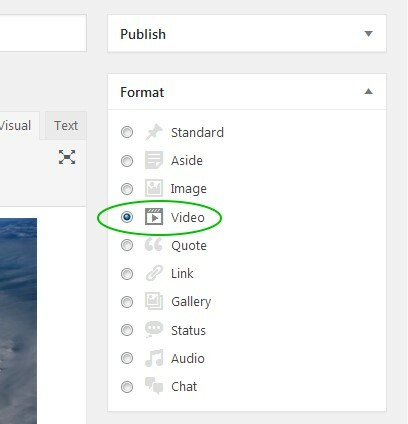 Make sure to set the post format to ‘Video’ and the Latest theme will automatically display the playable video for preview in the post archives (blog home, category page, date archive, search results etc). In the event that a post contains multiple embedded videos, the theme will display the first video with additional videos only displayed on the individual single post.